James began his swimming career in 2006 under the guidance of Paralympics Ireland Performance Director and triple Paralympic medallist, Dave Malone, in the National Aquatic Centre (NAC) swim club. James came to prominence when he claimed an impressive fourth-place finish in the 200m Freestyle at the 2010 World Championships in Eindhoven. In 2011, James continued his progress with another fourth place in the 200m Freestyle at the IPC European Championships, missing out on bronze by a hand touch. 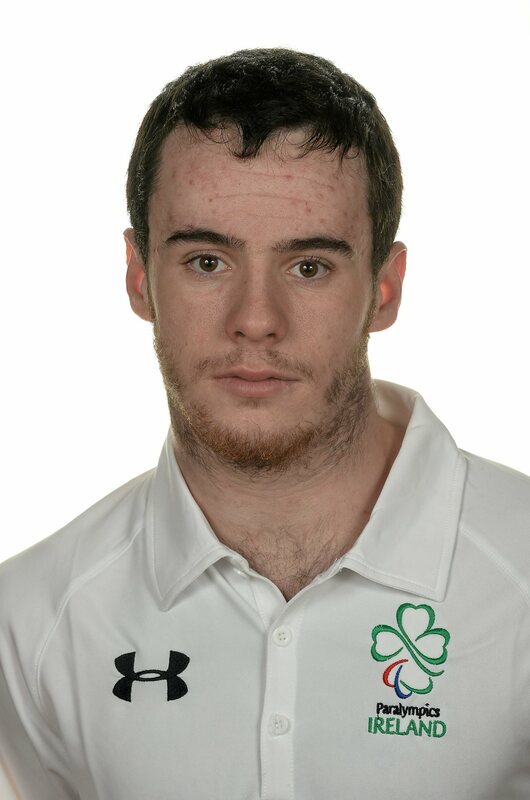 His efforts were recognised when he won Swim Ireland’s “2011 Disability Swimmer of the Year Award”. He competed at the London 2012 Paralympic Games with distinction, swimming a personal best of 2.53:03 to finish a close fifth in his 200m freestyle final. James reached a major championship podium for the first time ever at the 2013 IPC Swimming world championships in Montreal claiming bronze in the 200m freestyle. He followed this up with two bronze medals in the 100m and 200m Freestyle at the 2014 IPC European Championships in Eindhoven and he also competed well at the 2015 World Championships in Glasgow and the 2016 European Open Championships in Funchal. At the Rio Games James competed in the 50m, 100m & 200m Freestyle progressing to the finals of both the 100m & 200m. James swam a seasons best in the 200m and went on to swim lifetime bests in the 100m & 200m, placing seventh in both finals. This represented a particularly successful Games for James as his previous best times in these events had stood for almost four years. James recently completed a honours degree in NUI Maynooth in 2015 and has started a new role as a Communications Analyst with Bank of Ireland recently. James was born with a congenital limb deficiency in all four limbs known as Dysmelia.